Amy Berman is a senior programme officer with The John A. Hartford Foundation, a private philanthropy dedicated to improving the care of older adults, as well as an author, blogger and patient advocate living with Stage IV breast cancer. 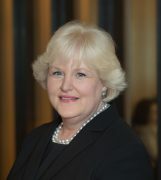 She is a member of CancerCare’s Patient Values Initiatives advisory board, helping to make sure that patients’ values and priorities are incorporated into treatment decision making. Here Amy reveals why she chose palliative care over curative treatments and discusses the challenges to integrating patient preferences into cancer treatment planning. Very simply, CancerCare did me the great honour of inviting me to participate. I was on the committee that helped produce the 2017 report, Integrating the Patient and Caregiver Voice into Serious Illness Care, published by The National Academies of Sciences, Engineering, and Medicine. This brought me into contact with a number of people who later became part of CancerCare’s Patient Value Initiative. How do you define the value of a therapy and how does that differ from other patients? When I was diagnosed with Stage 4 inflammatory breast cancer, I didn’t have great insight into cancer care. With cancer, the care is very complex, and the decisions are not just centred on the disease, but on the life you choose to live with that chronic condition. I used my learnings as a geriatrics expert to think about how I would decide on the treatments I wanted: would I want difficult curative treatments for an incurable disease, or would I opt for care and treatments to maximise the quality of my life and allow me to live well for as long as possible? Evidence suggests that palliative care, coupled with treatments that slow the cancer’s spread with the least number of side effects, can improve both quality, and quantity, of life. So for me, with no expectation of a cure, the value of a therapy is its ability to provide good quality of life. I call it the Niagara Falls trajectory: I want to feel good for as long as possible and then, if there’s no alternative, drop off the cliff. I don’t want to have burdensome and difficult treatments that cause me to drop off the cliff at the beginning. But others may feel differently. A woman diagnosed a year after me with the same rare breast cancer had an eight-year-old child and wanted every burdensome treatment she could have for the chance of an extra day, no matter how bad the day. That was her choice and she was supported in her values. In opting for more invasive treatments, she had a more difficult time than me, but that’s what value is about: supporting the person’s goals of care. Where do you see the greatest challenges to patients engaging in their treatment decisions? People find it difficult to take in information following a diagnosis. They typically only ask questions once they experience treatment side effects, but then it is already too late. Clinicians can help patients make choices by asking questions about their values before treatment plans are finalised. 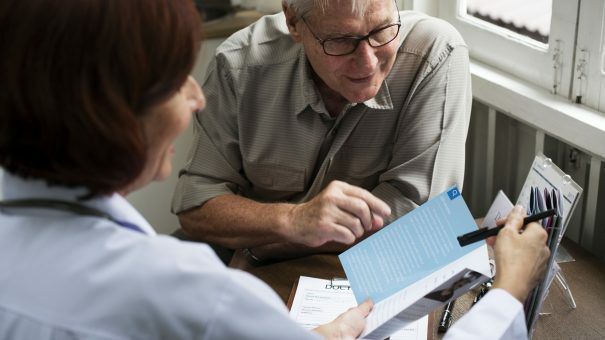 There are of course personal and cultural differences to consider, but even if we know that certain personalities or cultures might be hesitant to talk about their diagnosis/prognosis or to have value-based discussions, the clinician’s job is to always invite patients to have the conversation. What simple measures can be taken to better integrate patients’ priorities into treatment planning and decision making? We simply need to ask questions of our patients, such as: what’s important to you? What types of treatment are you trying to avoid and why? We don’t spend enough time doing this. Clinicians can also do more to prepare people for what to expect by providing ‘anticipatory guidance’ – explaining how others experience the treatment, how the patient may feel, what things they may go through, and how to handle the challenges. Costs of treatment are also important. While physicians may not know actual costs, they can talk about relative costs and explain how patients are doing on different treatments. Giving patients control over their lives is empowering and ultimately leads to better care. Are we seeing a change in how patients and doctors approach treatment decision making? The next generation of clinicians will undoubtedly be more willing to ask questions about what’s important to their patients. Patients are also showing generational differences. Baby Boomers, rather than simply waiting to be told, tend to seek information in advance of their doctor’s visit. Millennials are more likely to be part of online communities leading to a greater understanding of the experience of people living with cancer. There are gaps in cancer care, and there are simple steps we can take to move forward. What is important to realise is that we all have different priorities and expectations. Read more – Dr Michael Wong, professor of medicine at The University of Texas MD Anderson Cancer Center, shares his perspective on how we can place patient values at the centre of cancer treatment. 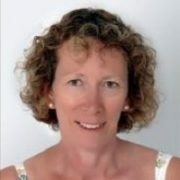 Jenny Hone is a freelance journalist with 25 years’ experience in pharmaceutical publishing.